How many times have you ordered curry and some naan breads (I don’t, cos it has gluten) and you end up with some extra rice that comes with the curry? Sanju loves naan breads. He buys naan and curry and we end up with few take away containers of rice. If you have been following my blog, you’d know how I hate to throw stuff away. I always make something out of whats left over. So, this is what happened last week. I had heaps of carrots and some cumin rice that was left over. I remembered one of my mum’s recipes and made that for lunch for myself and packed some for Sanju for the next day. I had the rice after my workout, it tasted extraordinarily great. I thought, it was my hunger. The next day, Sanju rang me up after lunch. Our usual call after lunch. He said it was ‘The’ best meal of the week. He asked me for the recipe. He wanted to know how I made it. So, he could pass the recipe to my mum-in-law. He asked me to snap few photos and asked me and share the recipe with y’all. I had only one cup of rice remaining and winter has been really harsh last week. I took photos with what I could. Will update it later. 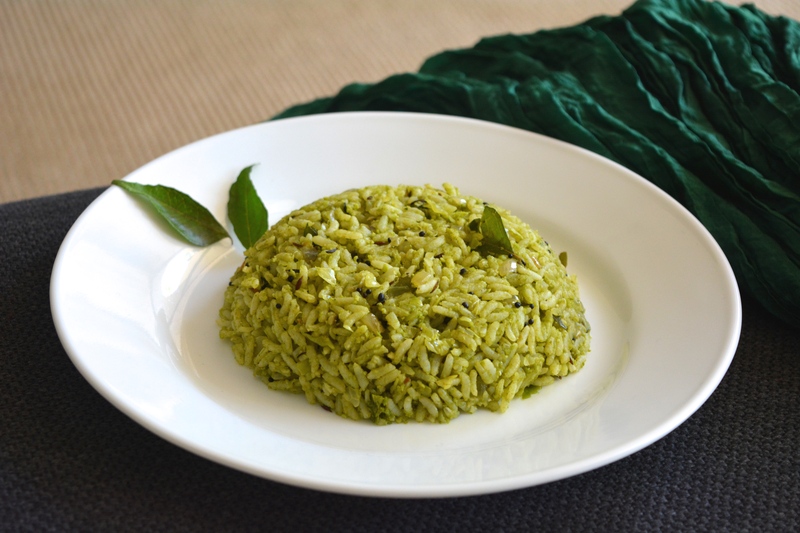 If you have boiled rice, it takes 15 minutes to make this. 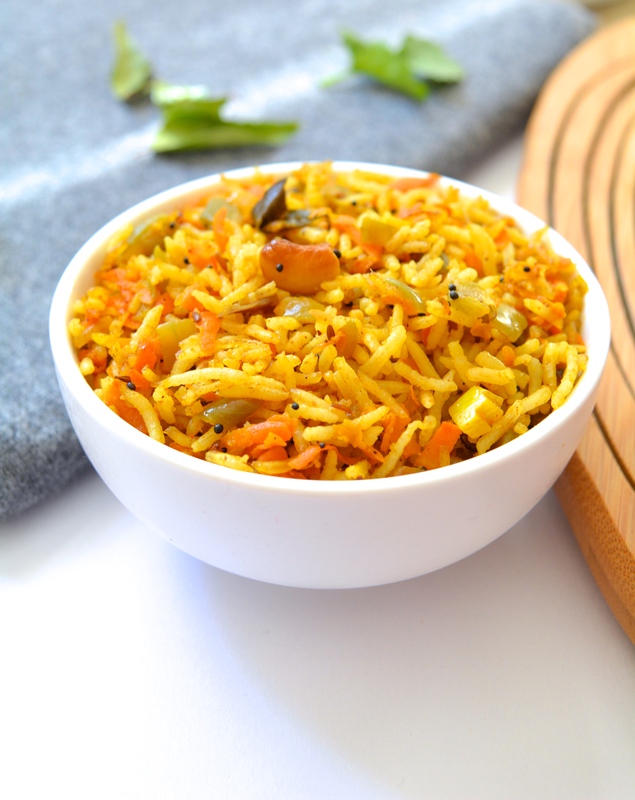 Best part of all, it is loaded with goodness of turmeric. In a work/pan, add oil, heat it and add mustard seeds (and/or) cumin seeds, once they pop, add curry leaves (if you are adding them), then toss the cashews in. Once they turn nice golden brown, add chopped onions in. Turn heat to medium and fry until they are golden brown. Add chopped garlic in and fry that too. Add grated carrots & green chili (if you’re adding them) in. Add ground turmeric,salt and chili in. Add 2 Tbsp of water, cover and cook until grated carrots are cooked through. Once they start to stick to the bottom of the pan, add rice, more salt, toss everything together. Add Garam masala and mix throughout. If you are allergic to nuts, you could leave them out and toss some green peas in. Don’t cut out on Garam masala. That’s the only flavouring agent here. You could add both cumin and mustard seeds. Or you could add either one of it. Don't cut out on Garam masala. That's the only flavouring agent here. This looks and sounds so good! 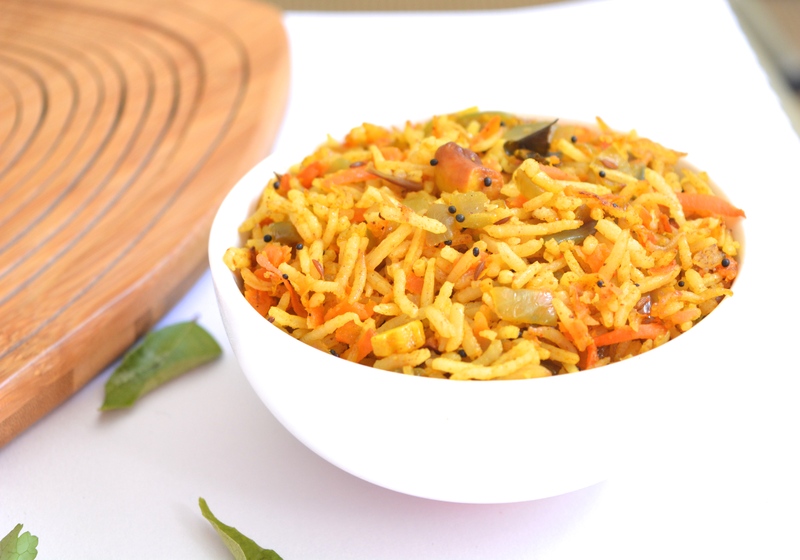 I love carrots and rice and will be making it very soon, thank you for the recipe. Also, do I have to use Rice Bran Oil? or could I use a different one? You’re very welcome. Hope you like it. 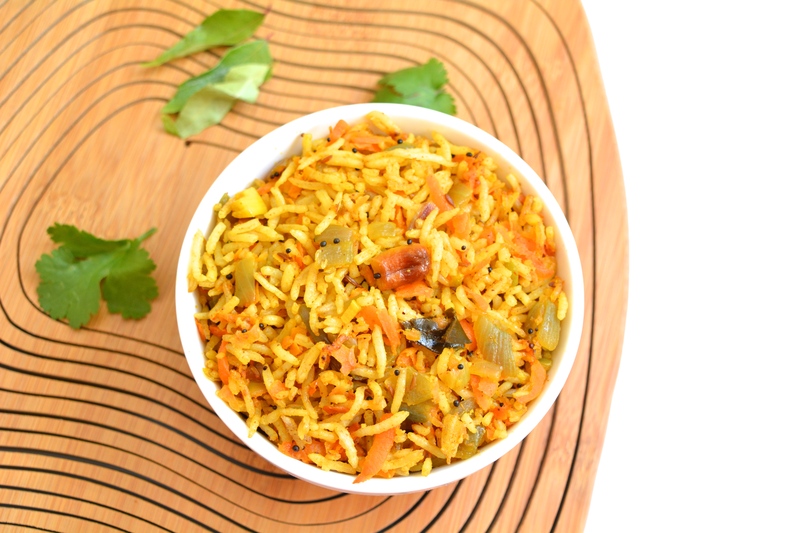 What a great idea for leftover rice….love it.